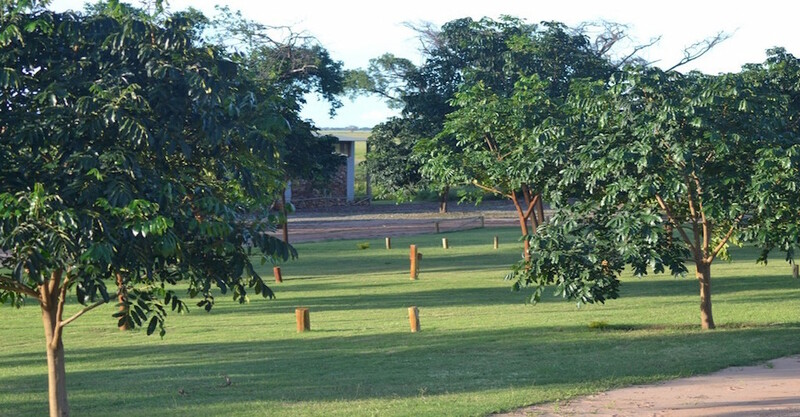 Mwandi View Lodge and Campsite is on the western edge of the Chobe National Park and Chobe Wildlife corridor. 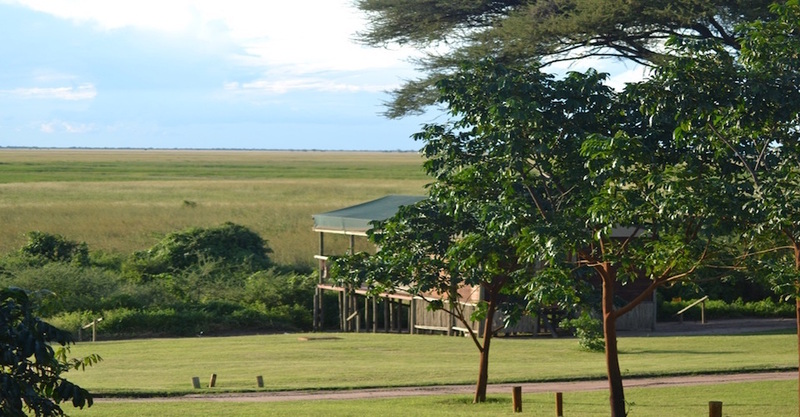 The Lodge and Campsite overlook the Chobe River. Mwandi means the beautiful view. 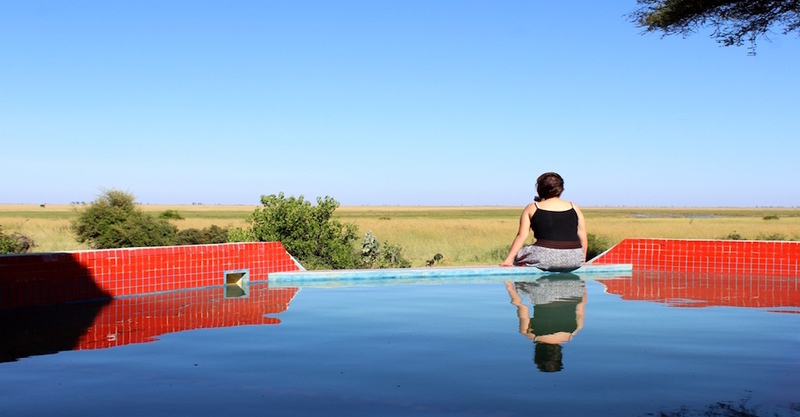 This lodge offers the best views over the floodplains on the West Chobe. 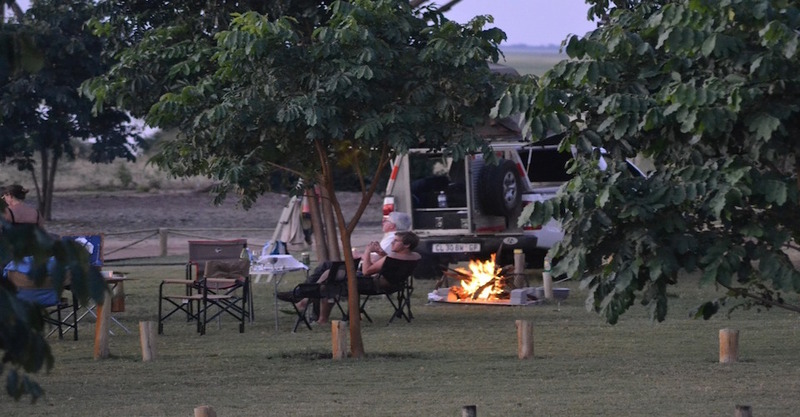 Mwandi offers excellent grassed camping sites with clean and neat shared ablutions. Every camping site has a power supply and a BBQ Braai stand. 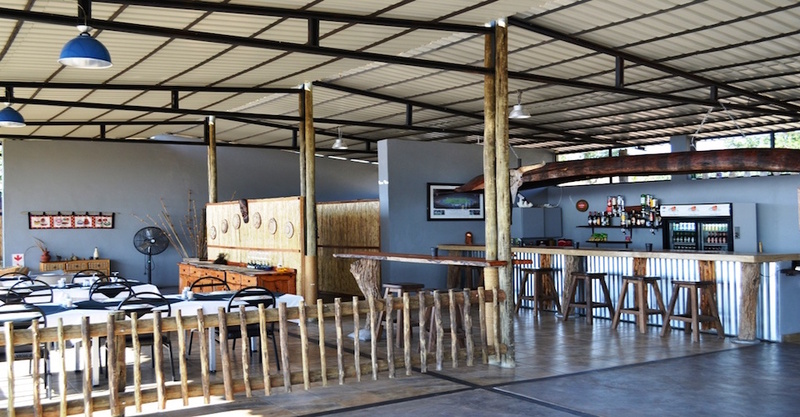 It is a pleasure to arrive at Mwandi View Lodge after dusty camping sites along the way. 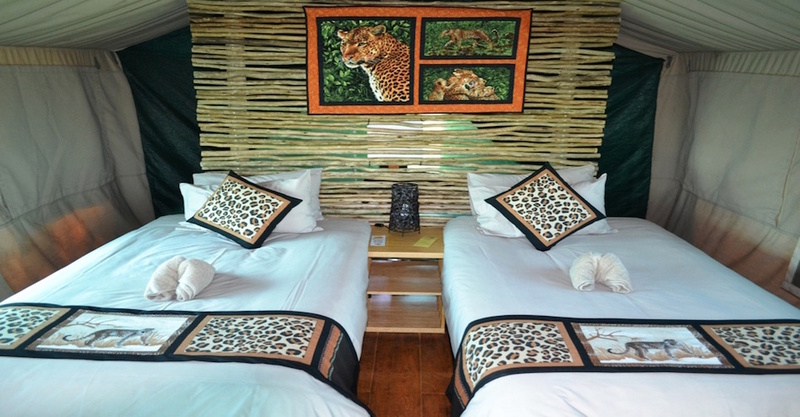 There are 4 Meru Safari Tents with en-suite bathrooms and a little self-catering Kitchenette. 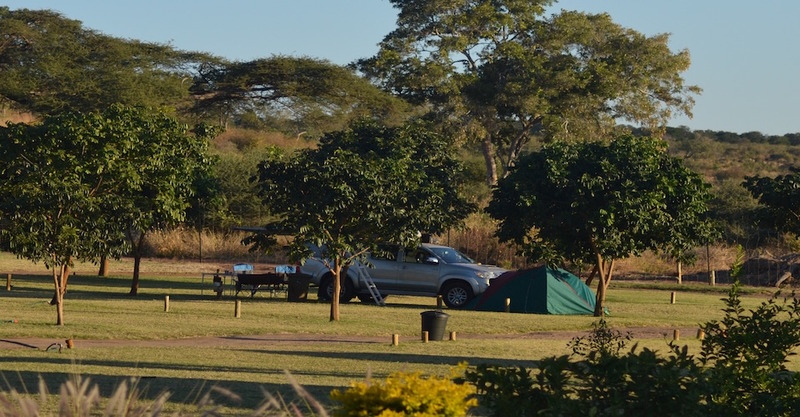 The Camp is a small, neat and very well located camping site with accommodation. 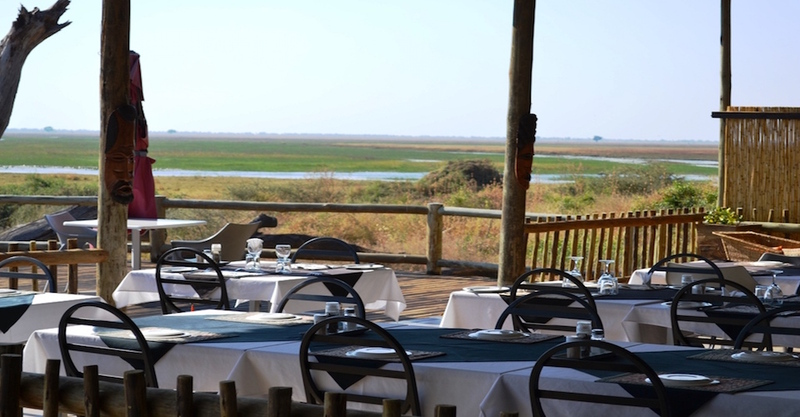 The meals are freshly prepared and served on a decking area overlooking the Chobe River. It is not busy on the western edge of Chobe National Park. 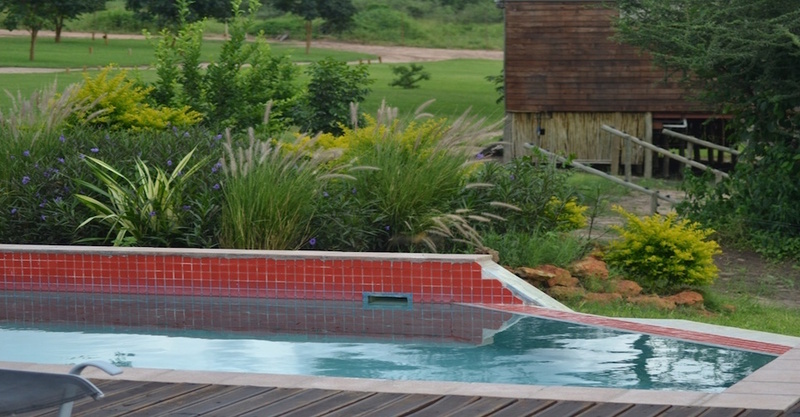 Mwandi View is the perfect location to base yourself for two or three days. 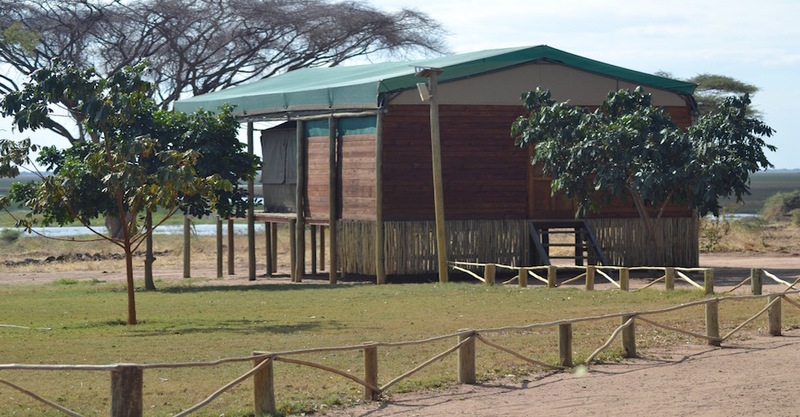 It is a mere 10 minutes from the entry gate of Chobe National Park, and this allows for excellent day trips to the park. You can do a self-drive or choose a guided game drive vehicle to explore the wildlife of the Chobe National Park. Four Tented Camp Units with ensuite. 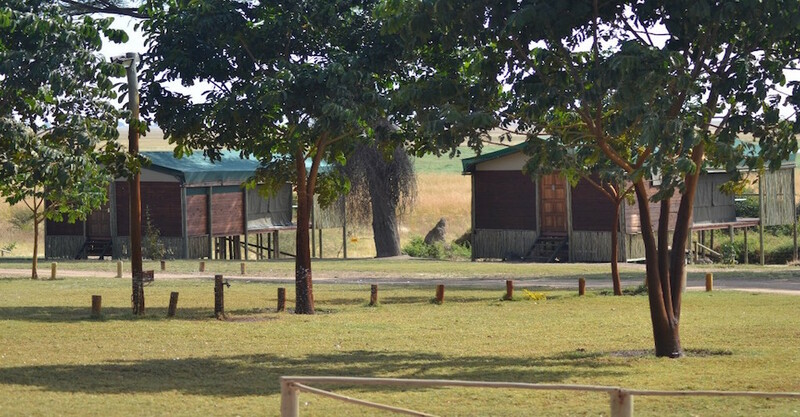 We can recommend Mwandi View Lodge Campsite and Tented accommodation for the cleanliness, Grassed campsites and excellent swimming pool. 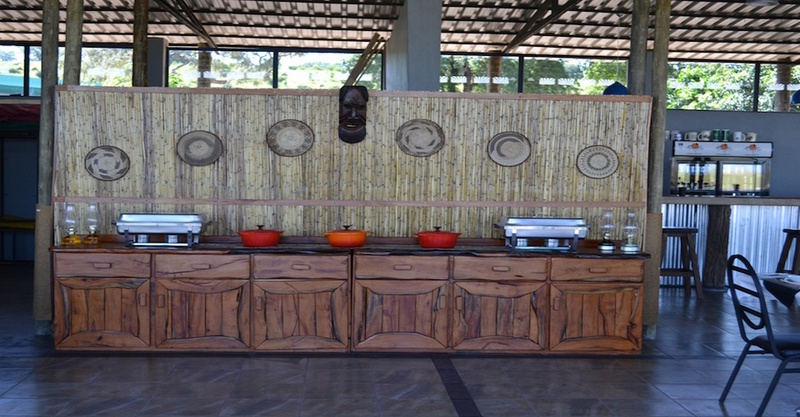 The decking area comprises a Bar and Restaurant area. 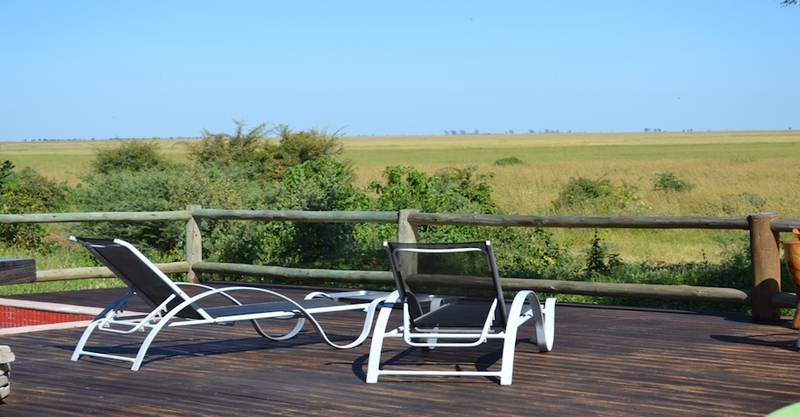 Mwandi View Lodge is one of the best sunset locations near the Chobe River in the whole of the region. 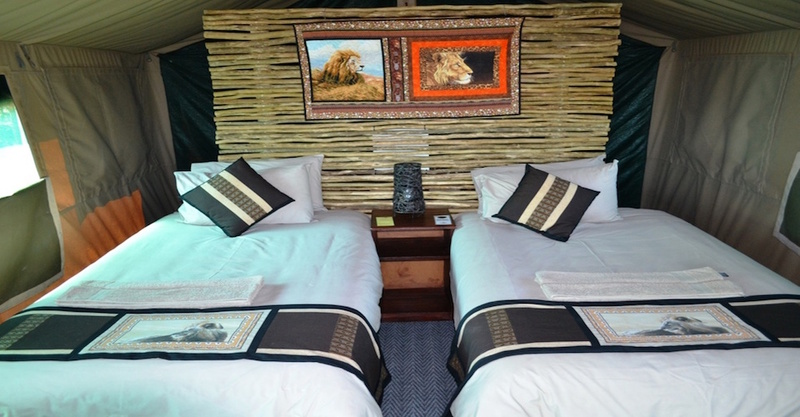 We also rate the camping site and tented accommodation as Value for Money. 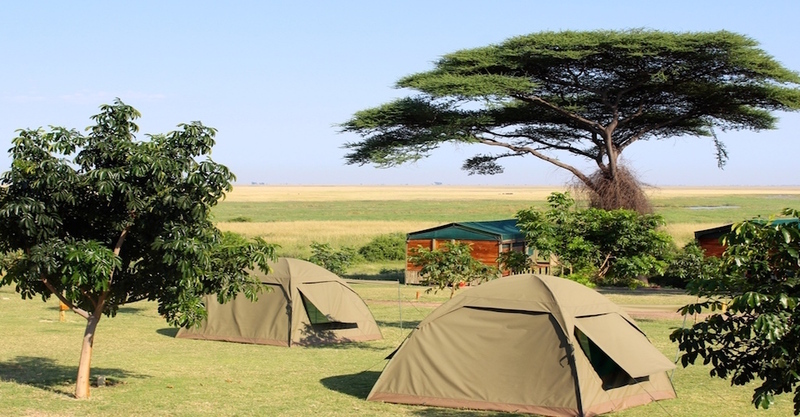 We invite you to book your campsite and tented camp accommodation in advance this season. Plan your visit to Botswana and enjoy the wildness and wildlife of one of Africa’s best adventure destinations. Please Note: We are unfortunately closed for the month of February for maintenance. RATES INFO: Please Note: We are unfortunately closed for the month of February for maintenance.